Each year thousands of Americans suffer severe or catastrophic injuries after a slip and fall accident due to the negligence, lack of maintenance, or lack of repair to a property or facility. Slip and fall, trips and other similar injuries can be life-altering while causing overwhelming financial burden to the injured party. Business owners and property owners have a responsibility to provide a reasonably safe environment for patrons and guests on a regular basis, whether it’s a grocery store, an office building or a strip mall. When a property owner is negligent and injuries result because of this negligence or improper actions, they should be held liable. When you trust your case to The Law Office of Joseph Onwuteaka, P.C., you’ll work with a Houston personal injury attorney who has been representing victims like you for more than three decades. We have the experience and the expertise to successfully navigate the litigation process and get you the financial compensation that you are entitled to receive. What type of conditions lead to slip and fall injuries? Lack of signage warning of exposure to risk. If you suffered injuries as the result of a dangerous condition on someone else’s property, you may have a viable claim. An experienced personal injury attorney can help you recover financial compensation from the property owner, their insurance company or any other parties who hold liability in the case. If you have suffered a slip and fall accident, and suffered injuries as a result of it, you may be able to recover damages. 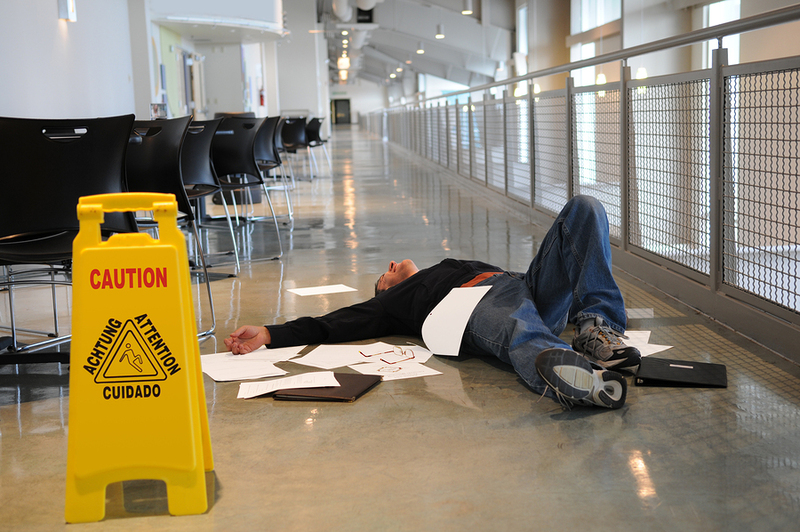 In Texas, slip and fall accidents are usually handled as premises liability cases. In order for you to recover damages, the state of Texas requires you to prove a few things. You must be able to prove that the property owner where you suffered your injuries failed to live up to their duty to provide a safe environment. You must prove that the property owner’s failure to provide a safe environment was the direct cause of your injuries. You must also be able to prove that you suffered some sort of verifiable damages as a direct result of said injuries. This is known as the fact pleading stage. Once all of these elements are verified, then your case can move on to the discovery stage. The Law Office of Joseph Onwuteaka, P.C., will thoroughly and diligently investigate each case. They are committed to preserving your rights and navigating the litigation process with speed and efficiency. What type of damages can I recover in a slip and fall claim? I was involved in a slip and fall accident, what do I do? If you are involved in a slip and fall accident at a business or private residence, the first thing you should do is seek medical attention for your injuries. If the fall occurred and you are injured due to the negligence of someone else, you may be able to recover damages for the injuries you’ve suffered. First, it is important that you do not sign anything or give any recorded statements to anyone without first consulting an attorney. Doing so could complicate legal claims or even void your legal right to recover compensation for the injuries you sustained. You’ll also want to take detailed photos of your injuries and the scene of the accident. Good detailed photos can make a big difference in a court of law. If you are able, ask for the name and contact information of the owner or property manager. You will need to give this information to your attorney. It is also vital that you send a written request for a copy of the video. If you are in a place of business, there should be video surveillance. Do not throw out the clothing or footwear you had on when the slip and fall occurred. They may be helpful if the defendant somehow tries to argue that the accident was your fault. It is also important to save all of the medical expenses related to the fall, they will directly affect the amount of damages you are awarded. You will also want to keep written notes about the accident. Document how your injuries have affected your day to day activities, the date of the accident, and anything else that may be relevant. This may be helpful to your attorney during negotiations of your claim. I fell on the steps in front of my friend’s house, but she’s a renter. Can I still recover damages? Yes, you probably can. Each case is different and handled on an individual basis. However, in a case such as this, the rental or lease agreement would be called into question. The liability in this case would depend on how the rental or lease agreement is worded and whose responsibility it was to repair the damages that cased the slip and fall. A third party, like a business, may even be held liable if they had been hired to fix the damages and they did a poor job. This is just a simple illustration of how complex a slip and fall accident can become. It is imperative that you have adequate, professional representation from an experienced Houston personal injury lawyer who committed to protecting your interests, first and foremost. If you have been injured in a slip and fall accident caused by the negligence or willful disregard of a business or property owner, contact the Law Office of Joseph Onwuteaka, P.C. today. Call (713) 271-5760 or contact us online to schedule a free case consultation with an experienced slip and fall attorney. The Law Office of Joseph Onwuteaka, P.C., will fight for your rights to get your case resolved quickly and get you the financial compensation that you deserve. 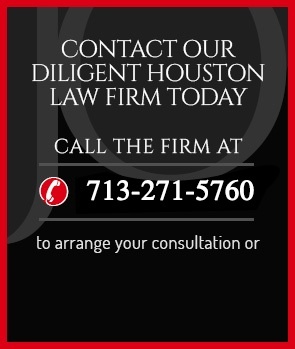 Our law firm represents clients in Houston, Texas, and the surrounding areas.